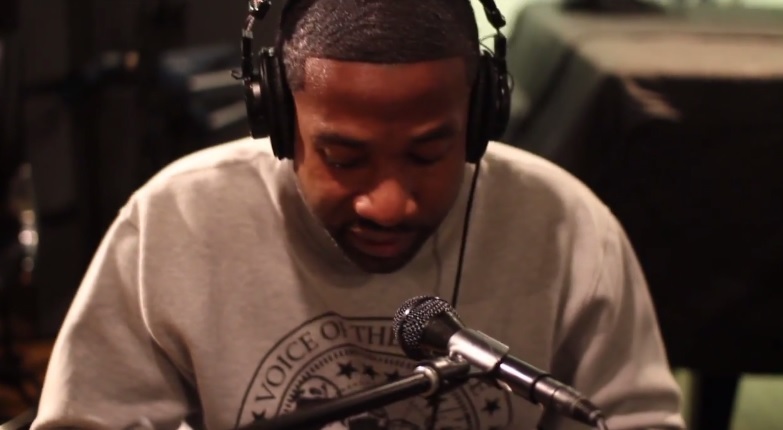 Ransom visits “Rap Is Outta Control” with DJ Eclipse and rapper Torae for an interview and exclusive freestyle. Watch as the New York bred Hip Hop artist goes to work and kicks a freestyle for listeners tuning in. Though you never see one and the camera never pans far enough for verification, it looks like Ransom more than likely was reading an unreleased verse off his cell phone. This entry was posted in In The Studio, Live Performance, Video and tagged DJ Eclipse, freestyle, hip hop, ransom, rap, rap is outta control, Torae. Bookmark the permalink.